Capturing the romance & freedom of old gypsy travellers, this enchanting Gypsy Caravan is a dream come true for most. 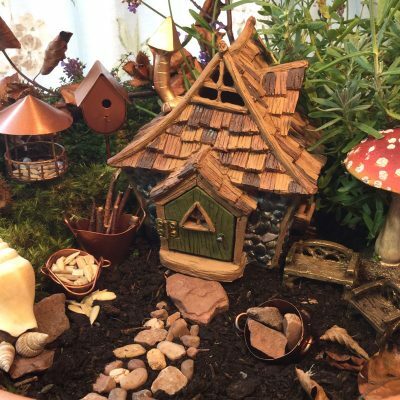 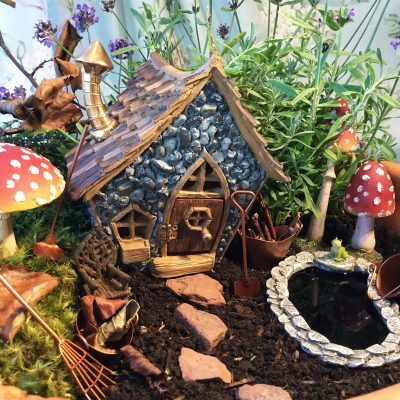 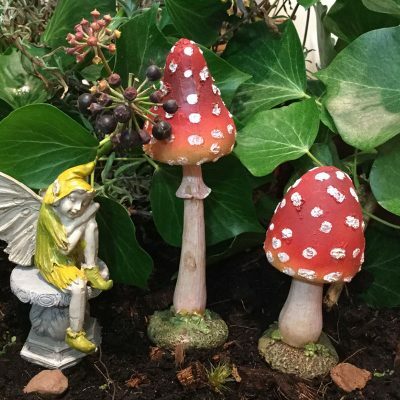 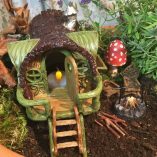 Even the wee fairy traveller needs a place to store their treasures that have been collected along the way, whilst resting their weary heads before setting off on their next adventure. 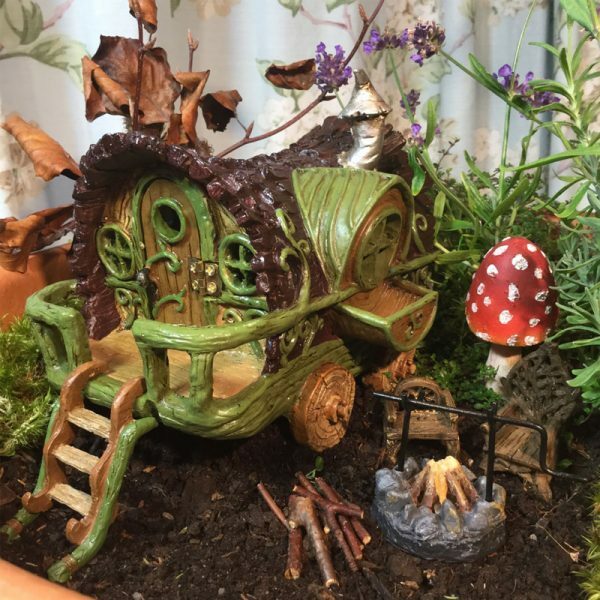 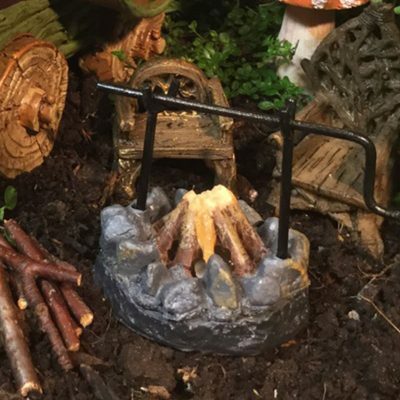 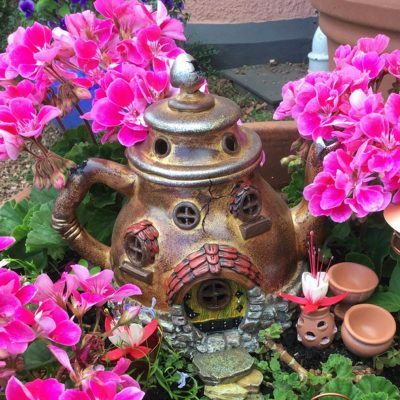 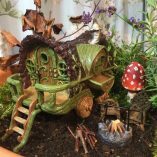 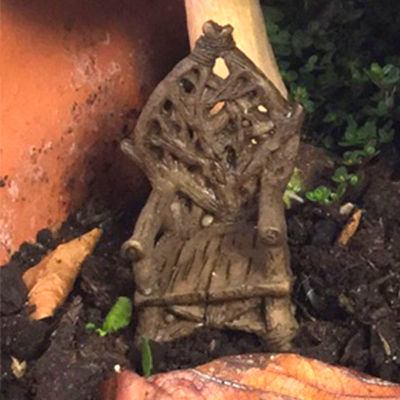 Encourage the traveller Fairies into your garden by setting up a magical fairy camp with miniature chairs & small campfire. 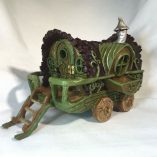 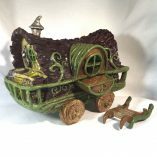 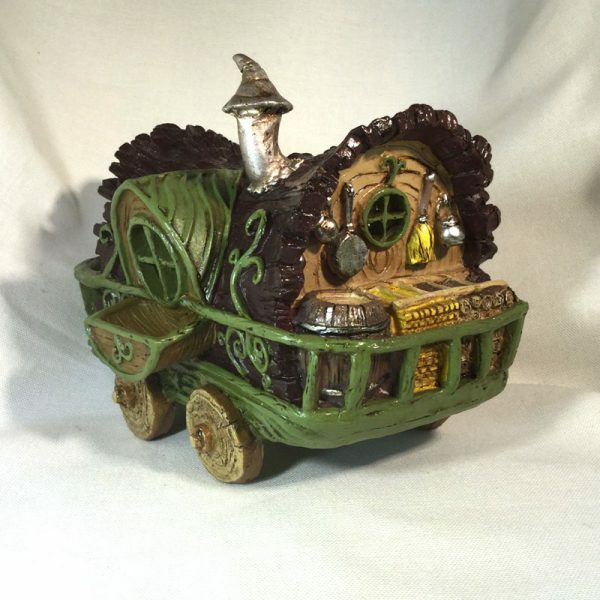 This adorable Gypsy Caravan features a log effect roof with pretty round windows & window boxes. 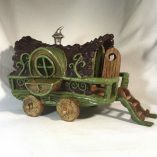 Detachable steps lead up to an opening front door while at the back travelling necessities are safely stowed away.